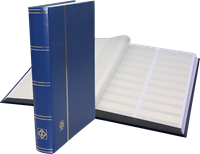 Stockbooks are simple bound stamp albums of heavy cardboard pages with strips to hold the stamps. 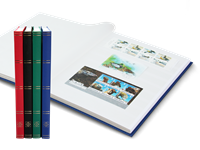 Stockbooks are useful for storing stamps not yet given space in printed albums, as well as keeping duplicates and extra stamps for trading. 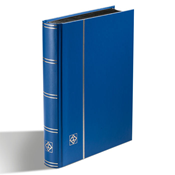 We carry a broad range of stockbooks from Lighthouse (Leuchtturm) in many different finishes and colors. 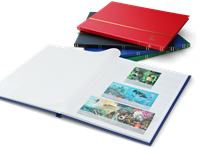 Explore our full range of Lighthouse stockbooks and see our great promotions in this category! 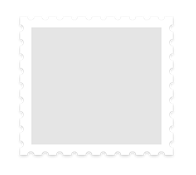 How should I store my stamps? 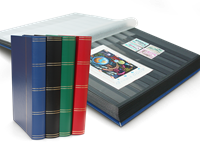 Stockbooks, albums, pre-printed albums…? 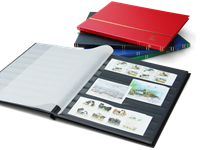 We highly recommend our quality Lighthouse / Leuchtturm stockbooks for stamps, souvenir sheets, first day covers (FDCs), maxi cards etc. 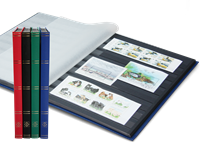 Our selection of Lighthouse stockbooks are perfect for storing and collecting stamps, souvenir sheets, first day covers, maxi cards. 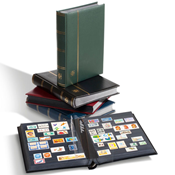 A stockbook is an inexpensive stamp album with solid cardboard pages with strips in glassine or foil. 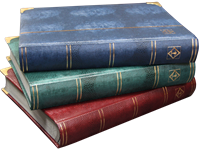 We have Lighthouse stockbooks that cover all tastes and needs. 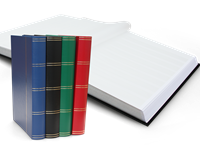 You can choose between different sizes, colors of the cardboard pages, number of pages, material and binding. 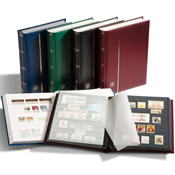 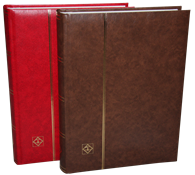 Stockbooks are not suitable for coins and coin products – instead see our selection of coin albums here.